Greetings, I hope your week is off to a good start! If not, maybe Penguin & Peep can cheer you up! 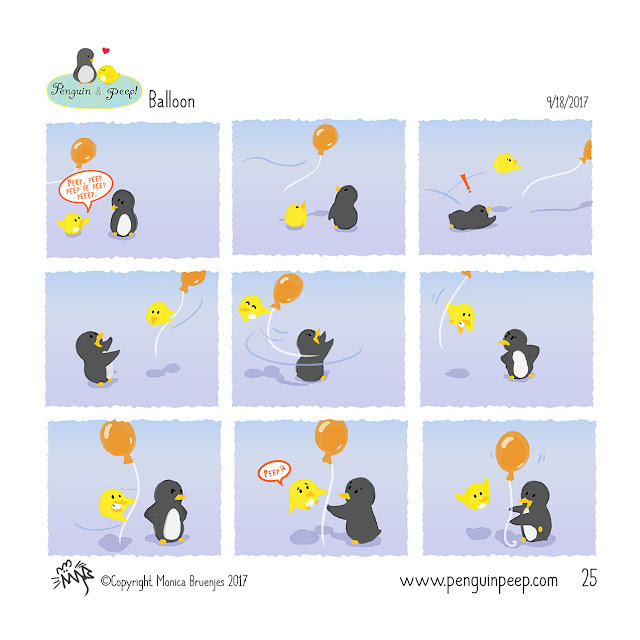 Penguin & Peep Comic: If you haven't had a chance to purchase Penguin & Peep's Little Moments book, I've still got copies available in my online shop! Just for e-mail subscribers, I'm offering Free Shipping + 20% off! Use the code: FREESHIP20 Hint: The code is good for anything in the shop, not just the book! Recently I brought Penguin & Peep's book to the Eau Claire Comic Con and they were received well! Next I am getting ready for the annual Falling Leaves Art Tour!